The 2018 AIPAC Policy Conference was an amazing educational and social experience. This was my second ever policy conference and lived up to my excitement and expectations going in. 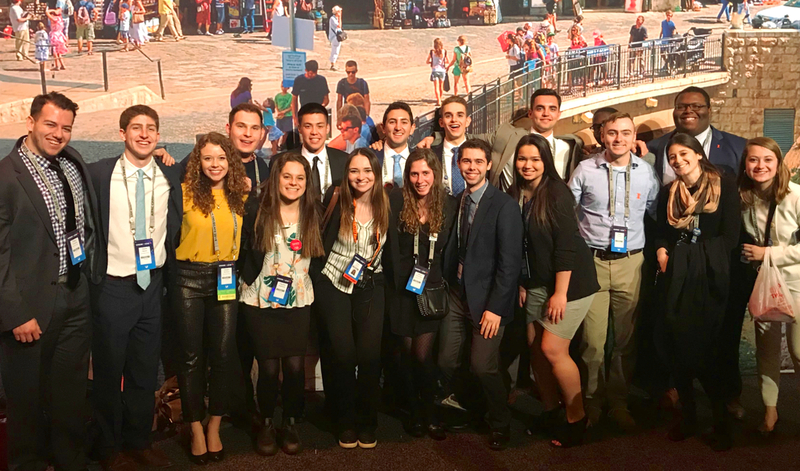 For a college student, the conference is an incredible opportunity to both learn about the U.S.-Israel relationship and build relationships with fellow students across the country. We were privileged to hear from a variety of experienced politicians, entrepreneurs, military officials, and many other professionals. Although I, like pretty much everyone else at the conference, did not agree with everything that was spoken, it’s important to be able to hear beliefs and opinions from all sides. This helps mold a holistic and diverse educational opportunity unlike anything else. Aside from all the learning, the conference was a melting pot for relationship building and development. I was able to reconnect with old friends from my high school and summer camp. This was truly one of the best parts of the entire trip because I could share this experience with so many close friends, many of whom I rarely now see during the year. I also had the great privilege of meeting new students who all shared the same purpose of being at the conference: advocating for a strong U.S.-Israel relationship. One of my breakout sessions at the conference was on millennial mobilization. The panel at the session included millennial entrepreneurs and students. A quote from one the speakers really stuck with me throughout the rest of the conference when he said “the best time to plant a tree was 20 years ago. The second best time is now.” As a millennial living in a modern era where social change is at the forefront of our society, this was an empowering quote. It made me realize that if you want to create change and truly start something, jump at the opportunity immediately. This conference not only provided me with meaningful learning opportunities, the ability to reconnect with old friends and create new ones, but also inspired me to lead. I want to thank everyone who shared this experience with me and I am so excited to attend future AIPAC conferences, and continue to be a leader in the growth of the U.S.-Israel relationship.